Giphy becomes the first reference for those who is looking for animated GIFs. It’s the biggest library of GIF. Big services like WhatsApp and Twitter even also use Giphy as their GIF provider. While regular users can take advantage of Giphy for an end use, Tumblr post for instance, developers can utilize the offered API to provide animated GIFs on the app they are developing. Want create your own GIF? Giphy also makes it possible. 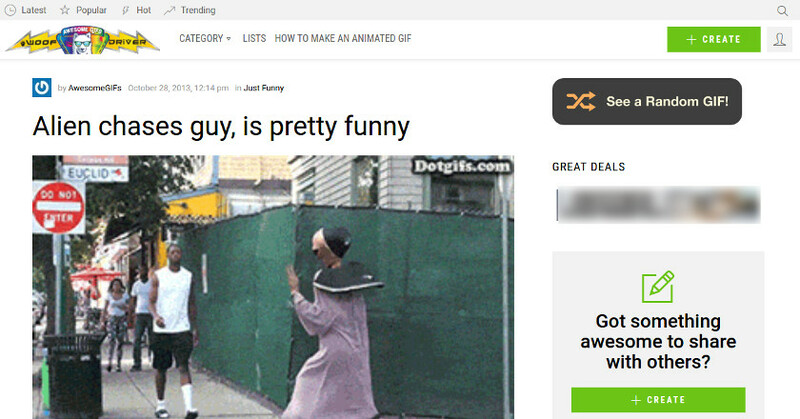 No doubt, Giphy is the best resource to cover you GIF-related needs. I have no idea what is your problem with Giphy, but if you want to look for Giphy-like sites that offers free animated GIFs, there are several sites that you can visit. Here is the list. The first Giphy-like site you can visit every time you want to look for animated GIF is Make A Gif. The main service of this site is basically to offer you a tool to create animated GIF online. But, the website also has abundant collections of GIF which you can use for free. At the top menu of this site you can find a menu called “Browse GIFs” that will take you to a page filled by GIFs. 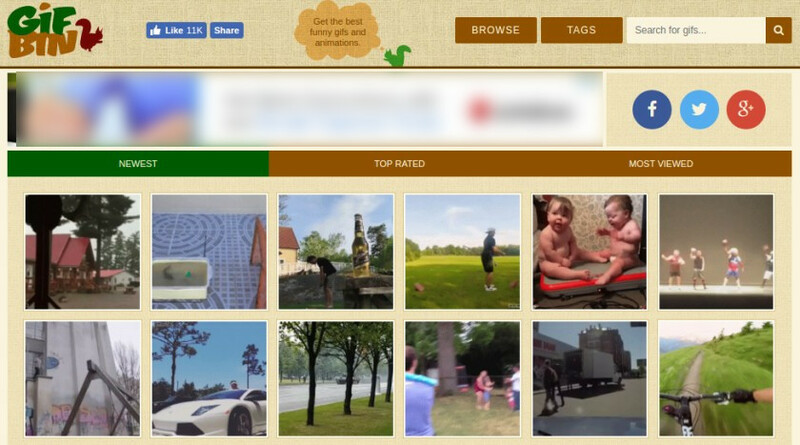 You can filter the GIFs by categories like action, animal, gaming and lots more. There is also a search feature to ease your job in finding GIFs you want. Make A Gif is one of the best alternatives to Giphy. This site also offers an API to allow developers taking advantage of its GIF library. Well, GIFGIFS.com is probably not fully similar to Giphy since this website offers smaller GIFs than it. You won’t see the kind of GIFs like Taylor Swift hugging his friend or Tony Stark laughing at someone. The GIFs offered by this website is tend to clipart instead of real image. The GIFs offered by this site are also divided into some categories from animal, anime, clothing and so on. Apart from being able to explore GIFs, there are also several tools you use to edit your GIFs like resizing, cropping, rotating and so on. The GIF collections of Best Animations are random enough. You can find clipart-sized GIFs like you can find on GIFGIFS.com as well as funny GIFs of people like you can find on Make A Gif. The downside of this site is that it doesn’t offer an individual page for each GIF. The GIF collections of Fg-a.com is quite similar to GIFGIFS.com where you can find animated GIFs of clipart instead of real image. The GIFs offered by this site ranging from USA’s independence day-related GIFs to Mother’s Day. So, if you are looking for a GIF for a special day message then Fg-a.com can be a good stop. 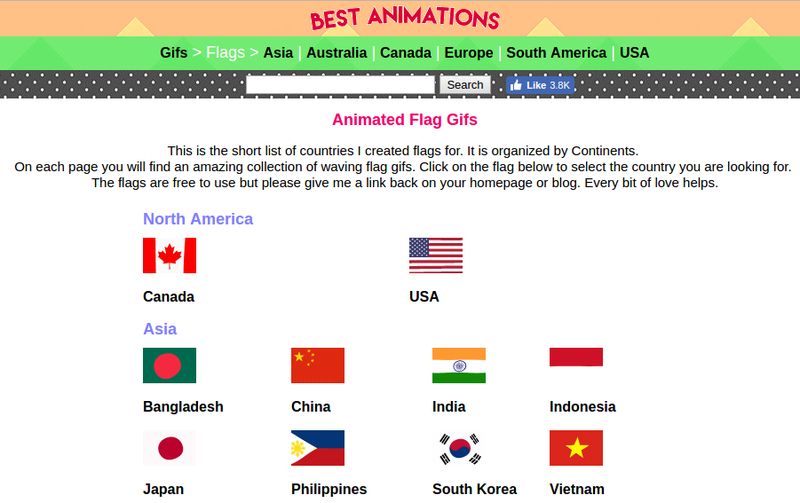 Unfortunately, this site also doesn’t offer an individual page for each GIF, like Best Animations. Tenor is another best alternative to Giphy. You can find animated GIFs of the real image of people with various expressions like laughing, sad, crying and lots more. Tenor is also becomes one of the GIF providers for such services as Twitter, WhatsApp to Facebook. The offered API makes it possible for developers who want to provide GIF on the app they are developing by taking advantage of GIF collections of Tenor. Tenor also offers an explore page where you can dig deeper to explore GIFs by categories like TV Shows, Movies, Animals, Music, Celebrities and so on. There is also a handy search box to make everything easier. Additionally, Tenor also provides a number of options on how to use each GIF. Overall, the GIF collections of Gifbin are not far different to Giphy. You can also find such GIFs as a baby with a cute face or someone is crying in a unique expression. There are also some options to enable you using each GIF, from direct link to embed code. Gifbin also features an explore page to allow you dig deeper. It’s just, there is no category is offered to filter the GIFs. 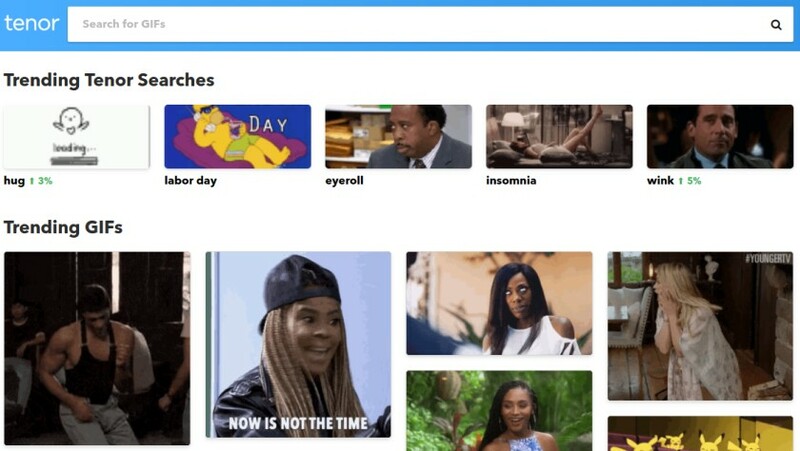 To find the GIFs you are looking for, the search box might can help a bit. If you are sorts of person who love to meme then AwesomeGIFs is a nice stop if you are looking for funny expressions like you usually find on a meme. The GIF collections of AwesomeGIFs are also grouped into several categories to ease you exploring your preferred GIFs. You can find such categories as pop culture, movies, animals, TV shows and so on. Same as Giphy, AwesomeGIFs is also a community-driven site so most contents on this site are uploaded by GIF addicts from around the world. This site offers an individual page for each GIF but there is no option on how to use each GIF. You can use the traditional method by downloading your preferred GIF in advance before using it. Usually, by right clicking it and choose the save image option on your browser. Five times. I know, the name of this website it a bit excessive. But, the GIF collections offered by Gifgifgifgifgif is abundant enough. They mostly consist of funny images. To enlarge a certain GIF you can click the word or BIG on each GIF. You will be provided a pop containing the larger version of your selected GIF. The downside of this site is that it very lack of navigation. There is no category or explore page. The GIF collections of Gifs-Paradise are a bit similar to GIFGIFS.com and Fg-a.com. 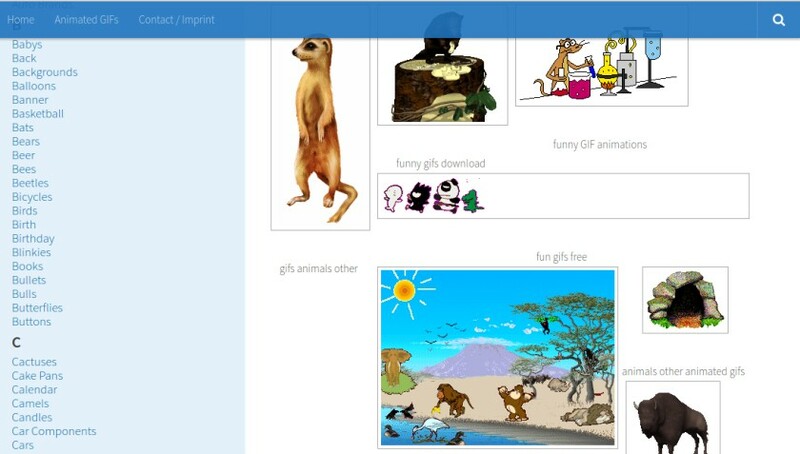 Is this site, you can also find animated GIFs of clipart instead of real image. Gifs-Paradise comes with a good navigation where you can explore GIFs by category. Each GIF also has its own page but there is no option to download the GIF or embed the GIF. The only thing you can do to use each GIF is by downloading it first by right clicking it and choose the save image option on your browser. Last but not least. Gfycat is another great alternative to Giphy. Just like Giphy and several other sites on this list, Gfycat is a community-driven site which mean the contents available on this site are uploaded by the GIF addicts from around the world. There are so many categories of GIF you can find in Gfycat. When you visit a page of a certain GIF you will see an embed code to use each GIF on your site. 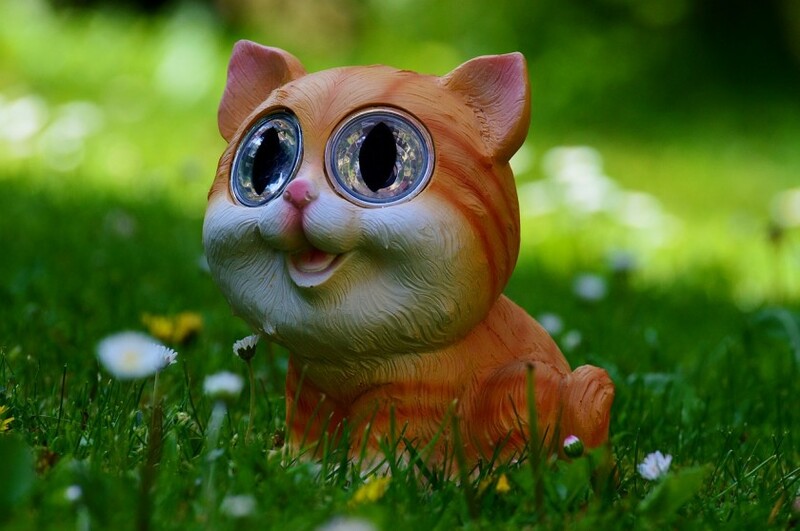 Gfycat also offers API for app developers who need a GIF library. Furthermore, you can integrate Gfycat with Slack to make your chat be more attractive.